While we do not always think about it, our sense of hearing is always on, and our brains have learned ways to tune out the sounds that are irrelevant to our lives. Hearing developed to protect our early ancestors, and today, it still serves the purpose of keeping us safe and alert. Hearing with both ears gives us a sense of our surroundings and helps us to identify the source of sounds. Though one main cause of hearing loss is simply aging, another cause is exposure to loud noise. Let’s take a look at noise-induced hearing loss and a few science-backed ways to protect your hearing. Noise-induced hearing loss occurs from exposure to dangerous levels of noise, over the long term from occupational noise or listening to loud music, for example, or in a one-time event such as fireworks or a gunshot. Unlike other forms of hearing loss, noise-induced hearing loss is 100% preventable. In order to protect your hearing, it’s important to pay attention to the noise levels to which you are exposed on a regular basis. According to hearing specialists, volumes over 85 decibels (dB) with an hour of exposure time could potentially cause permanent hearing loss. Furthermore, the louder the sounds or the longer the exposure time, the greater the risk to your hearing. 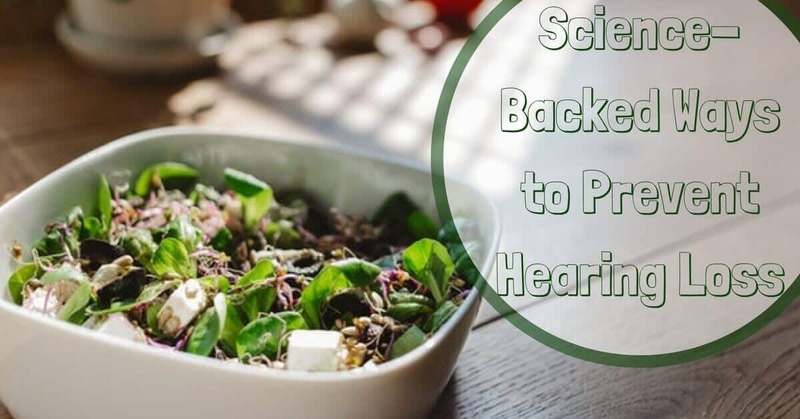 Based on different bodies of scientific research, specialists have provided a few tips to help us protect our hearing. Furthermore, beyond prevention, the act of accepting hearing loss as a very natural process of aging means you are more likely to seek treatment early – whether your hearing loss is noise-induced or age-related. In recent years, the ubiquity of personal electronic devices and earbuds has contributed to a rise in hearing loss for teens and young people. One reason is the proximity of earbuds to the eardrum, which creates an incredibly dangerous level of noise. Coupled with long battery life and the ability to play music and media at high volumes, young people are exposed to very high volumes for longer periods of time, compared to their counterparts in previous decades. In noisy situations, there are ways to protect your hearing, such as using earplugs or custom ear protection. People who work in noisy occupations are often required by employers to use on-the-job ear protection. It is in daily activities where we listen to music or other media at loud volumes that we may not notice the gradual effect of loud noise on our hearing. A study from 2015 found that teens between 11 and 17 years old were already experiencing problems with hearing that are more commonly found among people age 50 or older, such as tinnitus. They identified exposure to loud noise as a cause. In other words, to protect your hearing, turn down the volume! Two studies from Brigham and Women’s Hospital from 2014 found that coffee and a regular consumption of fish could help reduce acquired hearing loss. This data applies to women, based on the studies. For the coffee study, 65,085 women were tracked for 18 years, measuring caffeine intake and hearing abilities. Researchers found that “compared with women whose caffeine intake was less than 150 mg/d (equal to one 8-ounce cup of coffee), those who consumed 450 mg/d or more had a lower risk of developing the condition” of hearing loss. Though there is no cure for hearing loss, there is treatment available in the form of hearing aids. The first step in improving your hearing health is to schedule an appointment with us at Bay Area Hearing Services. Our friendly team looks forward to meeting you!